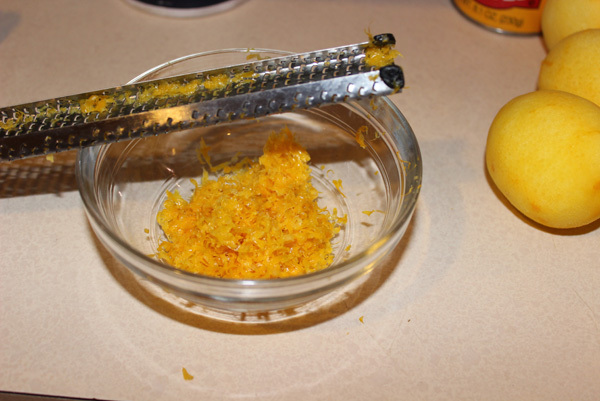 I started by zesting the new batch of Meyer lemons. 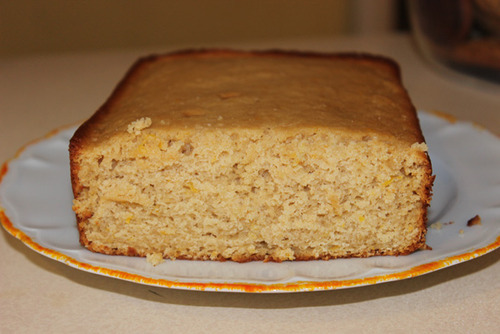 The recipe listed “zest of two Meyer lemons” but since the size of lemons varies so much, I cross-referenced it with the famous Ina Garten Lemon Yogurt Cake recipe. She also said “zest of two lemons” but included the additional information “two teaspoons”. Helpful! I ended up with a lot more than that but I figured more is better, at least where Meyer lemons are concerned. I juiced some of them too, figuring that I’d add it in if the batter seemed able to handle it. Next up, dry ingredients. 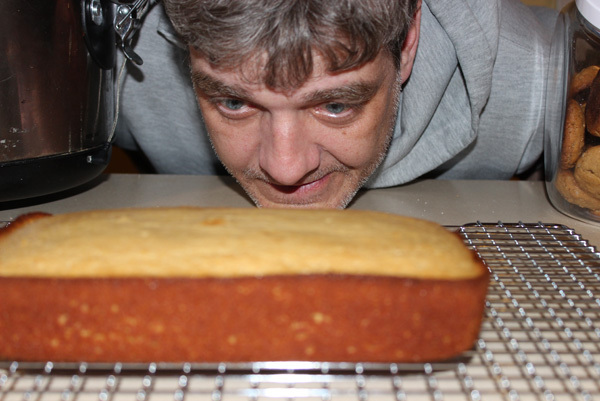 I opted for whole wheat white flour, a risky choice for a lemon cake. I whisked that together with baking soda, baking powder, and salt. 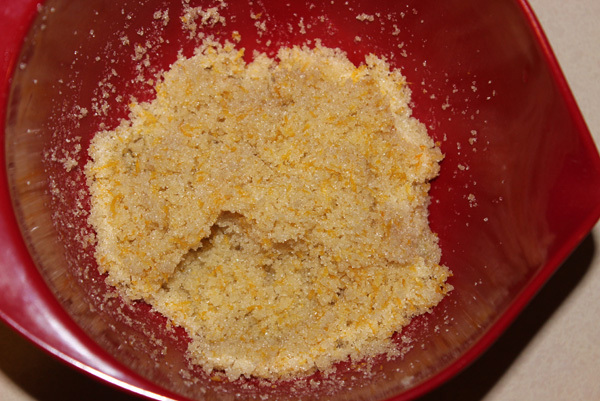 Now the next instruction was to pulse the lemon zest and sugar in a food processor for 30 seconds. We have a food processor somewhere, I think, but I’ve never used it, and I certainly didn’t want to embark on a food-processor-finding expedition for 30 seconds worth of pulsing. I remembered once making some Lemon Poppy Seed Muffins where the recipe required mixing zest and sugar together by hand, so I decided to try that instead. 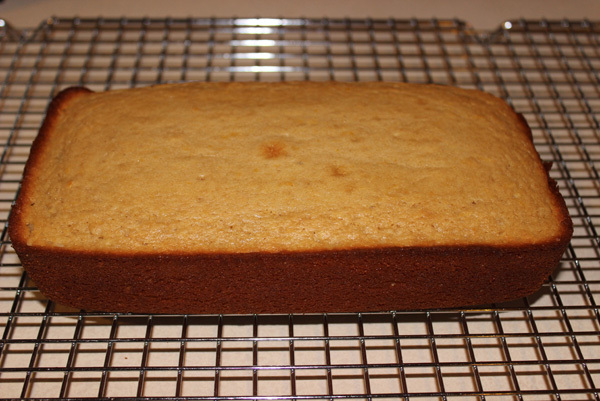 I measured out the cane sugar, then added the zest. I ran it through my fingers until I felt it was well and truly mixed. And thus created “lemon sugar”. It smelled great. 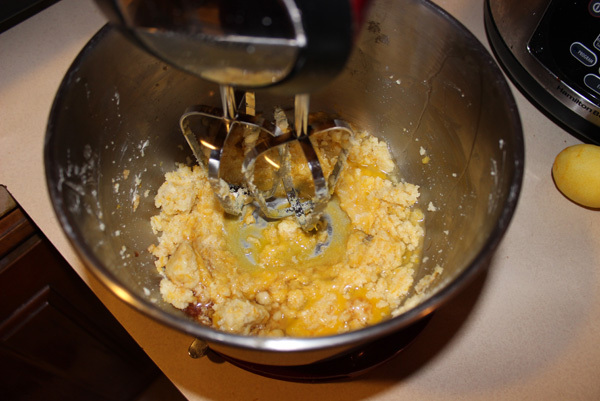 I poured it into the stand mixer with the butter, and beat at medium speed, then beat in the egg and vanilla too. There were a lot of steps to this cake. 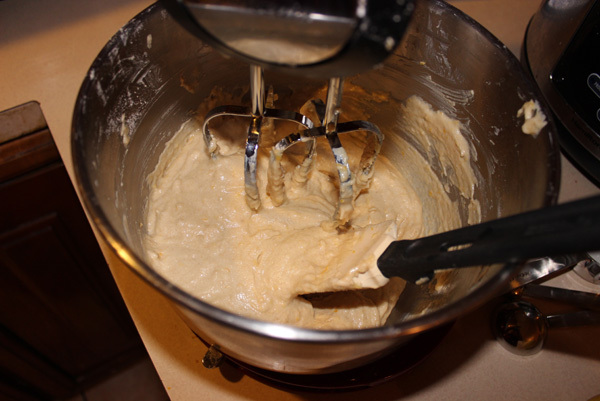 I added half the flour to the butter/sugar/lemon concoction in the stand mixer, and beat just until incorporated. Then I beat in the buttermilk & yogurt, and then the rest of the flour. I poured it into a loaf pan. The directions said to bake for 50 minutes, so I set the timer for 35, and when the timer went off, it was done. Dave and I hovered over it until ten minutes had passed and it was ready to come out of the pan. It turned out great. I think next time I’ll try whole wheat pastry flour to make it even lighter, but it’s full of lemon flavor and crumbles nicely and everyone in the house is enjoying it, which is a rarity indeed. 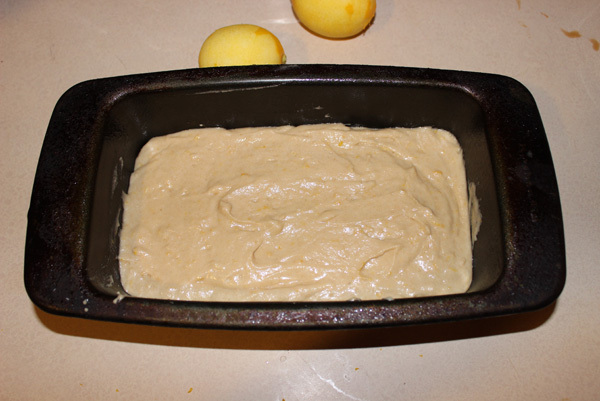 Heat the oven to 350 degrees and spray or grease a loaf pan. 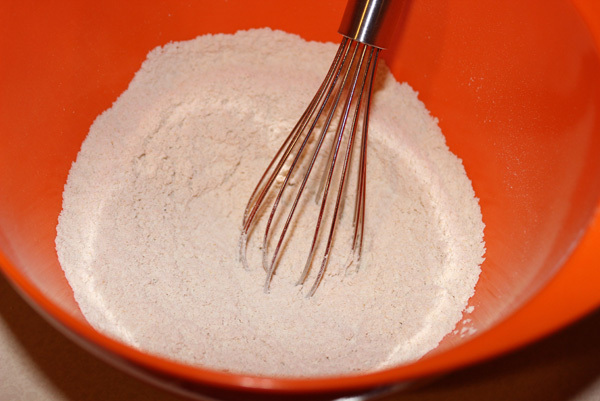 In a medium bowl, whisk the flour together with baking soda, baking powder, and salt. 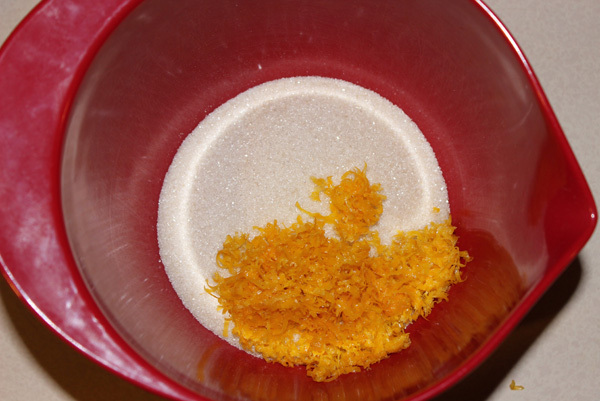 In a small bowl, combine the zest and sugar, then use your fingers to make sure they are mixed together thoroughly, creating lemon sugar. 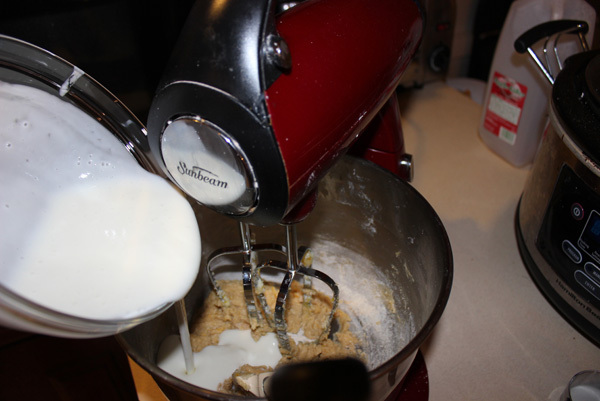 In a stand mixer, beat that with the butter at medium speed until light and fluffy. Beat in the egg and vanilla. 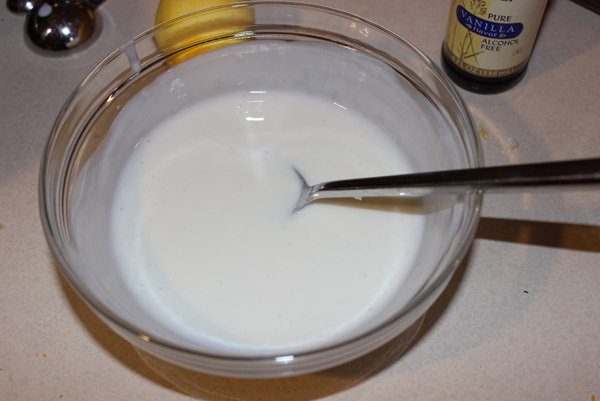 In yet another bowl, stir together the yogurt and buttermilk. 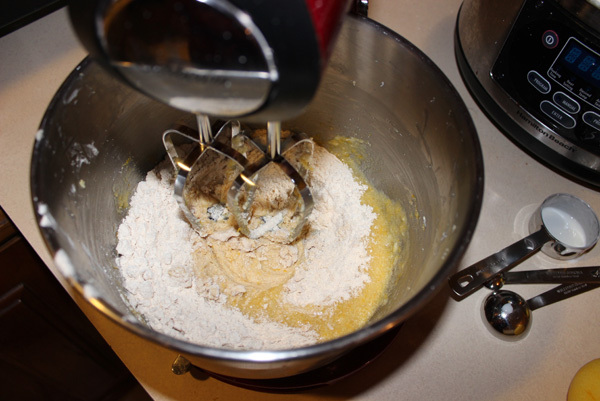 Pour half the flour into the stand mixer and beat at low speed until incorporated. Add the buttermilk/yogurt and the lemon juice and mix, then add the rest of the flour and beat until incorporated. Pour batter into prepared pan. Bake for 35-50 minutes or until a toothpick inserted in the center comes out clean and the cake springs back when touched. 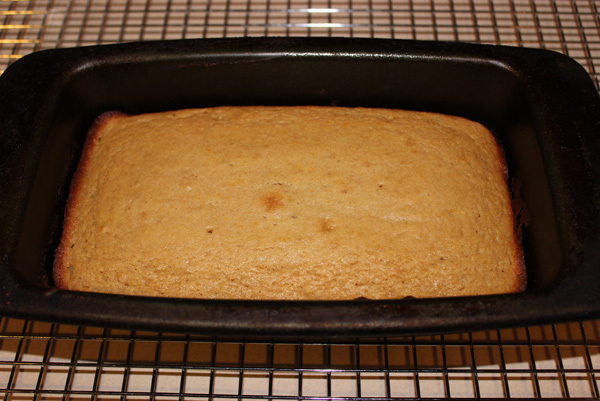 Cool in the pan for another ten minutes, then move to a wire rack to cool completely.